BUFFALO, N.Y. – November 1, 2013 − Mokon announces the introduction of the HTF NPS Series, a new line of positive and negative pressure heat transfer oil systems with temperatures up to 400°F (204°C). Whether a process requires positive pressure (no leaks present) or negative pressure (to stop a leak), Mokon’s HTF NPS Series provides the most efficient means of temperature control. When a minor circuit leak from stress cracks or bad o-rings can stop operations, the HTF NPS Series can finish the production run without the nuisance of a leak or the costly interruption of a repair. 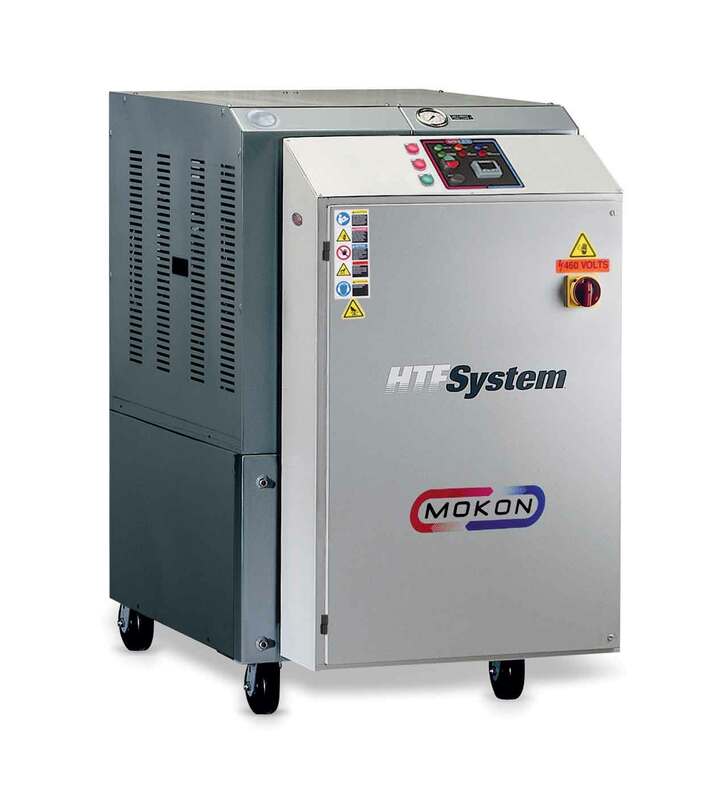 The HTF NPS Series provides accurate temperature control while creating a negative pressure condition to pull the fluid through the mold – essentially generating a vacuum to stop the leak and preventing downtime. For more information, contact Mokon, Buffalo, NY 14207. Phone: 716.876.9951 Fax: 716.874.8048 or visit www.mokon.com.